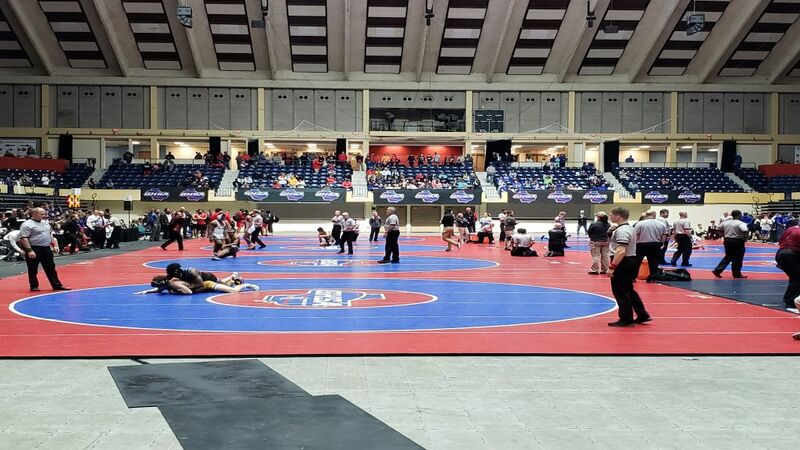 The 2019 Traditional Wrestling State Tournament returns to the Macon Centreplex on Feb. 13-16. This year, there is a special addition with a girl’s tournament on the schedule. Across the seven classifications, 98 individual boys titles and seven team state championships will be awarded. For the girls, 10 individual state championships will be awarded on Saturday. The new addition of a girls Traditional Wrestling State Tournament has been welcomed. The girls will compete in 10 different weight classes – 95, 116, 126, 136, 146, 156, 166 ,176 and 225-pounds. Last year, Statesboro senior Kasey Baynon became the first-ever girl to place in the traditional wrestling state championships in Class AAAAA’s 106-pound weight class. The results from the girls tournament will not go toward the boys team totals. In the state’s highest classification, Camden County has the target on their back. 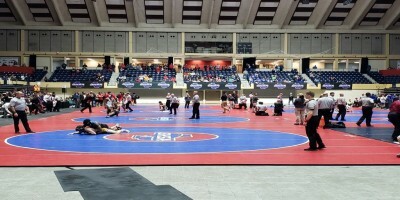 The Wildcats, fresh off a victory in the AAAAAAA GHSA Team Duals Wrestling State Championships, are looking to defend their title for the fifth-straight year. In 2015-16, the Wildcats won the AAAAAA title before reclassifying to Class AAAAAAA where it won titles in 2017 and last year. In Class AAAAAA, Richmond Hill will look to defend its program’s first-ever state title after scoring a first-place 153.5-point performance in Macon last year. This year, Richmond Hill qualified 12 wrestlers for the state meet. Sophomore Kamdyn Munro (37-0) will compete in the 160-pound class. Junior Jakeem Littles (45-2) will enter the 182-pound bracket. Buford is in the hunt for its third-straight traditional title after accumulating 206 points in Macon last February to win the AAAAA state crown. The Wolves got individual state titles from Nick Stonecheck (132), Charlie Darracott (145) and Triston Bozoian (182) in 2018. Stonecheck (47-1) and Darracott (48-1) are two returning juniors that will help lead the Wolves. Blaine Bergey, a junior, has just one loss to his record (49-1) and will compete in the 160-pound bracket. Class AAAA will be up-for-grabs after the ever-dominant Jefferson’s reclassification to AAA. West Laurens, last year’s runner-up, qualified 11 wrestlers for the state tournament. Junior Spencer Dacus will compete in the 285-pound class and boasts a 58-0 record. Chase Horne, a 220-pound freshman, has a 55-2 record and will help lead West Laurens deep into the bracket. In Class AAA, the state’s most prolific wrestling program will wreak havoc on a new, yet familiar, classification this year. From 2001-2008 Jefferson won titles in Class A. From 2009-2014, it won each year in Class AA before winning AAA titles in 2015 and 2016. The Dragons then moved up to AAAA for 2017 and 2018’s championships. Now, back in AAA, Jefferson is still the favorite. Jefferson’s top performers are 106-pound sophomore Mason Mingus (44-7), 113-pound sophomore Tyson Thurmond (44-4), 120-pound senior Jared Blackburn (41-9), 132-pound senior Ian Statia (37-2), 152-pound sophomore Nolan Sorrow, 160-pound senior Ryan Hurd (47-1) and 170-pound senior Mason Corbett (41-7). In Class AA, Social Circle has won four-straight traditional titles and will return to Macon with hopes of a fifth-consecutive crown. The Redskins will be led by Tyler Post, a 106-pound senior that carries a 43-0 record into the tournament. Junior Tyler Snowden (40-4) will compete in the 113-pound weight class with a bye through the first round. Rod Nunnaly, a 285-pound junior, has won 44 matches with just two losses. Commerce has won five-consecutive state titles entering the Class A tournament. The Tigers’ are led by senior Flint Tucker, a 152-pounder who has amassed a 29-2 record. Dawson Legg, a sophomore 113-pounder has a 30-6 record. Darlington, last year’s runner-up, has two undefeated wrestlers on its roster. Senior Dalton Blankenship (17-0) will compete in the 132-pound class. Colton Woods is a 138-pound senior with a 40-0 record. Rhett McDurmon (31-4) will compete in the 170-pound class.